Kelly Philips Erb at Forbes offers a piece on the not so romantic story of the Saint Valentine’s Day massacre. Forget the wine and flowers, the real story of Valentine's Day is guns and blood. In the late 1920s, the ban on booze, ushered in by the passage of the 18th Amendment in 1920, opened up opportunities for those willing to buck the establishment. The rise of bootlegging (the illegal manufacture and sale of alcohol) and speakeasies (illicit drinking establishments), as well as gambling and prostitution, proved lucrative for mobsters. 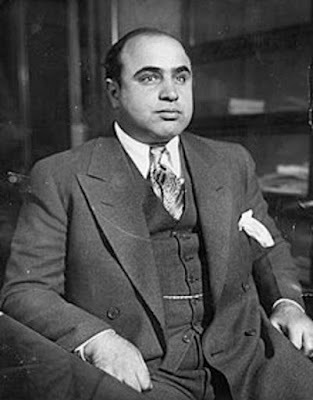 And the biggest mobster of them all was Alphonse Gabriel Capone. Born in Brooklyn, New York in 1899, Al Capone quickly became acquainted with street gangs. A middle school dropout, Capone worked odd jobs to make ends meet. When he turned 18, Capone's boyhood friend, Johnny Torrio, introduced Capone to Frankie Yale. Six years older than Capone, Yale gave Capone a job as a bouncer and bartender at one of the brothels he owned. While at work, Capone got into a fight with a patron (reportedly over a pretty girl) and was slashed across the face three times with a knife, earning him the nickname "Scarface." … Witnesses saw four men enter the garage: two of the men were dressed as police officers. 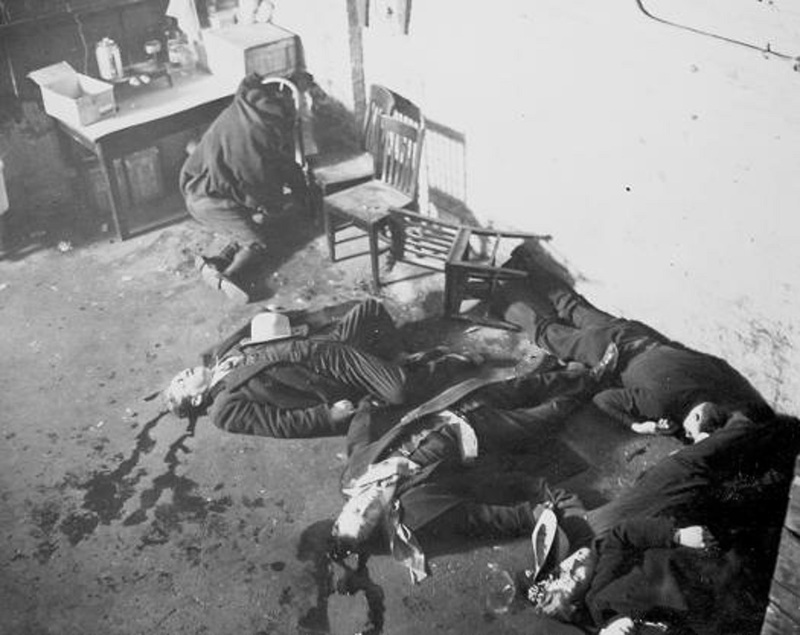 The "officers" ordered Moran's gang to line up against the wall where they were hit with a spray of machine-gun and shotgun bullets: 70 rounds of ammo were fired. All seven men inside died - most of them immediately. One of the victims, Frank Gusenberg, survived long enough to allegedly tell police, "No one shot me." Moran escaped the slaughter. When he heard about it, he remarked, "Only Capone kills like that." Capone retorted, "The only man who kills like that is Bugs Moran." No one was ever charged with the murders. After the shootings, the FBI dubbed Capone "Public Enemy Number One," a label Capone reportedly hated.